Dartmouth was outshot 21-14 by New Hampshire and 5-3 on goal, New Hampshire also finished with a 6-4 advantage in corner kicks. Senior Justin Donawa made his season debut after being sidelined by injury and led Dartmouth with three shots. Junior Henry Stusnick made his second start in goal and came away with five saves. 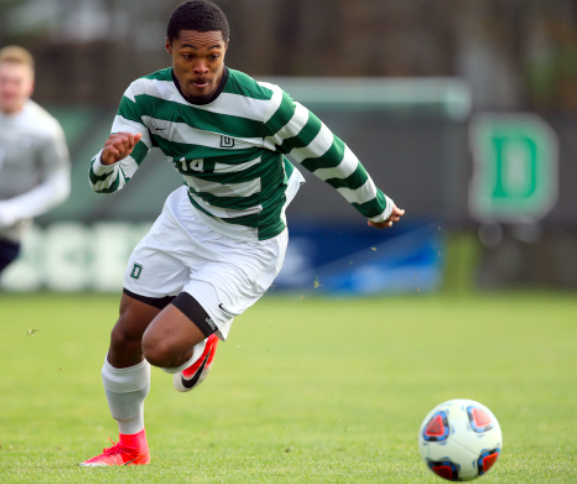 Dartmouth got off to a fast start with shots by senior Yima Asom and sophomore Tiger Graham in the 9th and 14th minutes. After New Hampshire had a few scoring chances, Dartmouth was back on the attack and closed out the first half with shots by Matthew Ranieri and Max Heffron. Dartmouth outshot New Hampshire 7-4 in the first half. New Hampshire ramped up the pressure to begin the second and got off five straight shots in the opening eight minutes of the half. Donawa had a couple of opportunities down the stretch, his shot in the 78th was stopped by the keeper, and he later had an open attempt in the 86th minute that banged off the right-side post. Neither side could find the net and the Big Green went into overtime for the second straight match. New Hampshire outshot Dartmouth 3-0 in each of the overtimes, but Dartmouth defense held their ground and Stusnick came away with a game-saving stop in the 106th minute. New Hampshire kept up the pressure but could not score and each side finished with a draw.